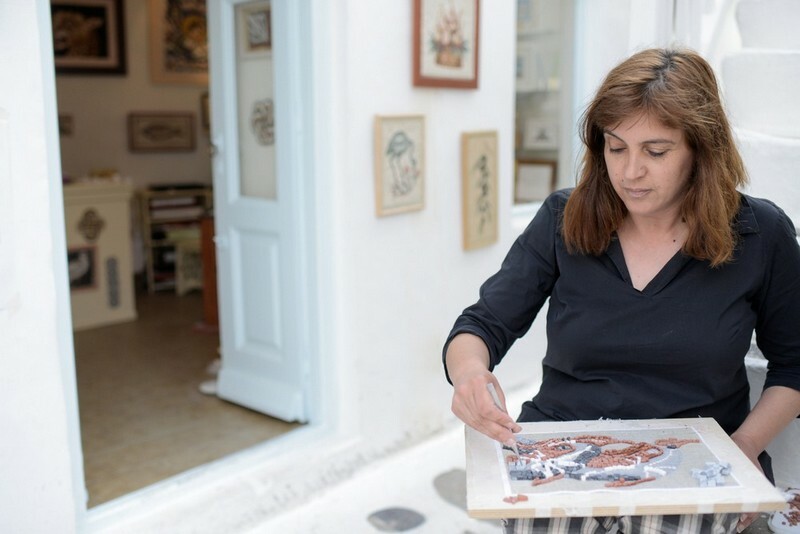 Irene Syrianou teaches the ancient art of the mosaic in youngers and elders. 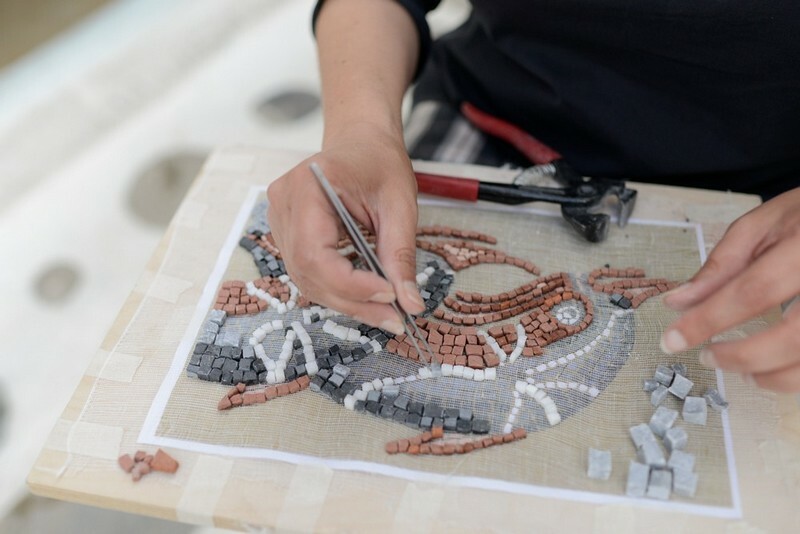 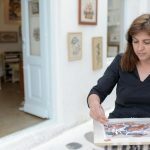 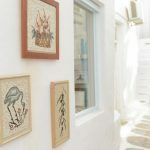 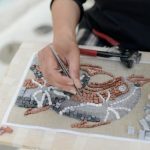 Through her space, Asteria Mosaic Art, she brings us in contact with the famous mosaics of Delos while she recommends replicas or plain copies (in any size, upon request) and jewelry, all made of inlays cut by hand, one by one! 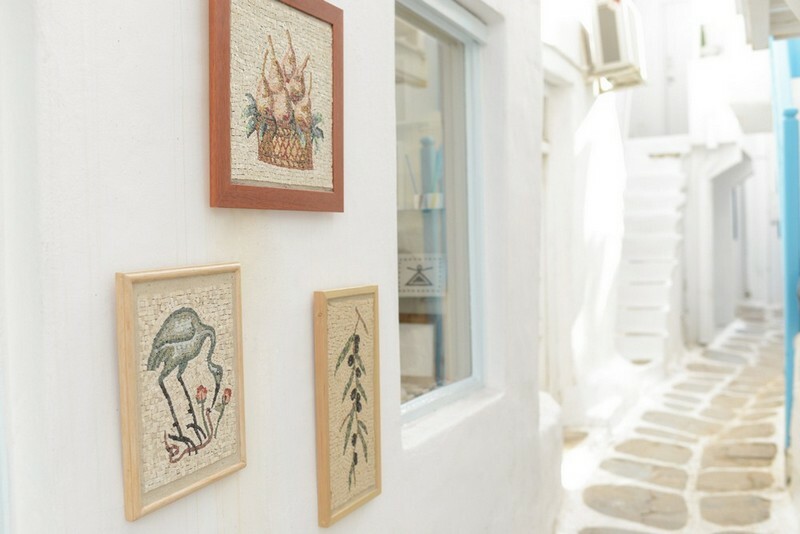 At the store you will also find contemporary creations of marble, marble hearts and jewelry by Nikos Benos-Palmer.